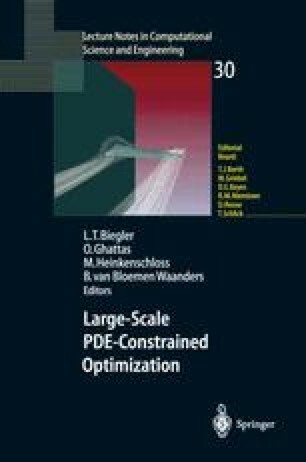 This paper describes an interior-point algorithm for solving large scale nonlinear programming problems. The fundamental step of the algorithm requires solution of a sparse symmetric indefinite linear system. Rowand column scaling are used to ensure that the system is well-conditioned. A globalization strategy based on a nonlinear filter is used instead of a merit function. The computational performance of the algorithm is demonstrated on a high index partial differential- algebraic equation application.